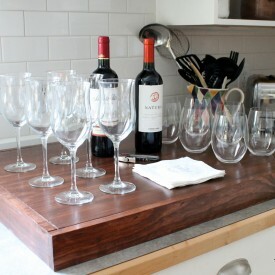 Yesterday I wrote a post to reveal the before photos of the first floor in our new townhouse. Today I would like to take you on a tour of the second floor. Our new digs had 2700 square feet plus an unfinished basement, three-car garage, three bedrooms and 3 1/2 baths. In order to make the space work for us, we are rearranging and repurposing rooms during the total remodel. We have added a laundry room to the second floor, finished the basement and added another bath and storage area down there which added more square feet, and converted the first floor bedroom into my husband’s office. 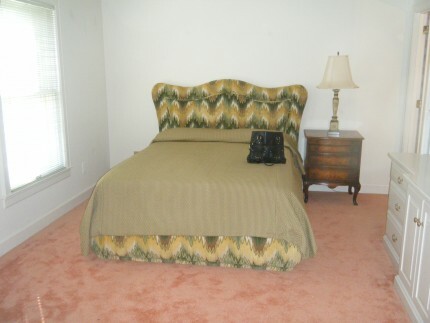 This is a view of the guest room. 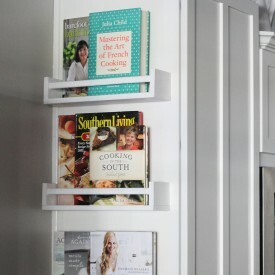 The second thing we kept from the previous owner was the built-in bookshelves and cabinet. I think it will be a great changing area if/when we ever get grandchildren. (Jordan, can you hear me?) We changed the hardware, and painted the unit Sherwin Williams pure white semi-gloss enamel along with all of the moldings and new doors. We removed the carpet and replaced it with hardwood and removed the ceiling fan. The left hand corner now has a closet area suggested by the architect. 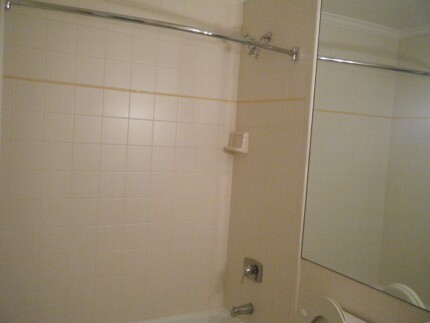 He said it should be near the bath, which is through the door on the end, so that our guests will have a dressing area. When I took the photo, I was standing in front of the large closet that we converted to a laundry room. This is the same view with the previous owner’s guest bed. 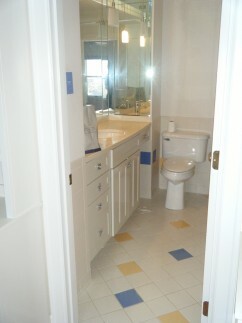 This is a bad shot of the guest bath. We replaced all the tile in here with honed carrera marble, and added heating elements to the floor. We bought new cabinets and new honed black granite countertops. We also eliminated the wallpaper, added a sky light, and bead board. The guest bath and the bath adjacent to my husband’s office are twins. We took out the tub in the office bath and added a honed marble shower. This is a peak into the old master bath. To the right behind the door is the shower. The previous owner had a huge shoe closet in an area behind the sink, seen on the left. We tore out the walls and incorporated that space into our new bath. 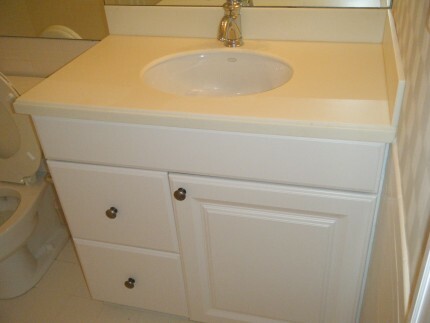 By today’s standards, it is still a somewhat small master bath, but we both have separate sink area, I have a make-up area, we have storage, a toilet, a bidet (can’t live without one!) 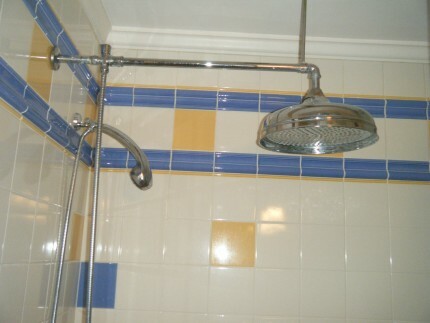 and a large steam shower. I called this shower head “the rain forest.” It, too, ended up at the Habitat Restore, along with practically everything else. 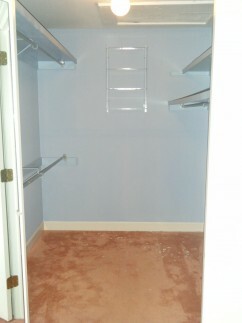 This is the shoe closet that is now part of our master bath. The master bedroom only had this one closet, but there was a huge area of wasted space at the top of the stairs. 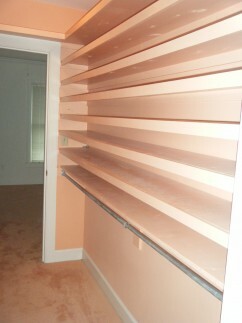 We were able to move walls and doorways to make a nice walk-in closet for Mr. Autumn. We are both excited because they are being outfitted by a closet designer this week. That is not the moon. 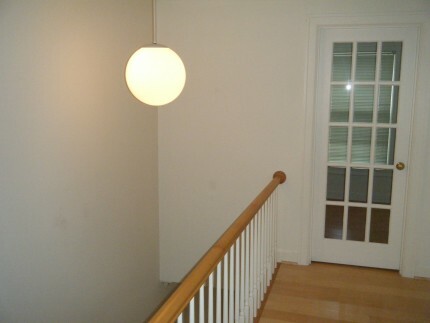 It is a light that we got rid of, along with the old stair railing on the left. 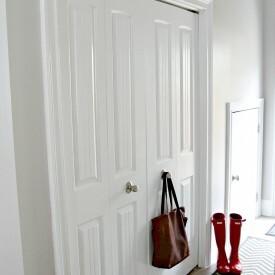 This door used to be the entrance into the guest room closet area, but by moving the closet, we were able to make it into an 8 x 8 feet laundry room. The entrance to the guest room is now on the right. 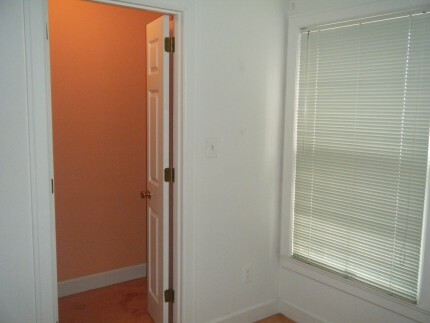 There you can see the guest walk-in closet. We tore out the wall and moved it to the other side of the window you see. That created the laundry room space. 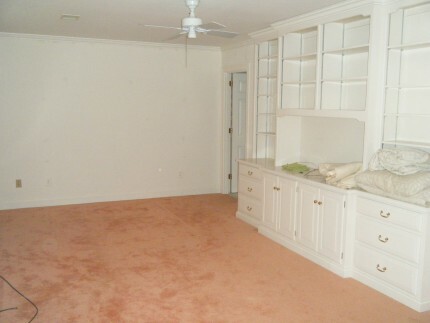 Sorry, I thought there were before photos of the master bedroom, but I can’t find them. It was similar to the guest room but larger. It, too, had a ceiling fan (now gone), carpet (now hardwood) and shelves (now gone). Hope you enjoyed the before tour of the second floor. You will be getting a grand puppy very soon. I would have had a hard time removing that shoe closet. 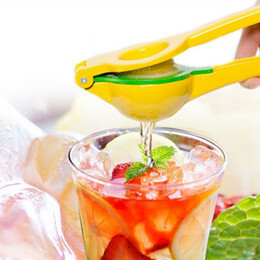 How great would that be?? Of course, most people don’t have the shoe fetish that I have. Bet Randy R. will concur with me though!